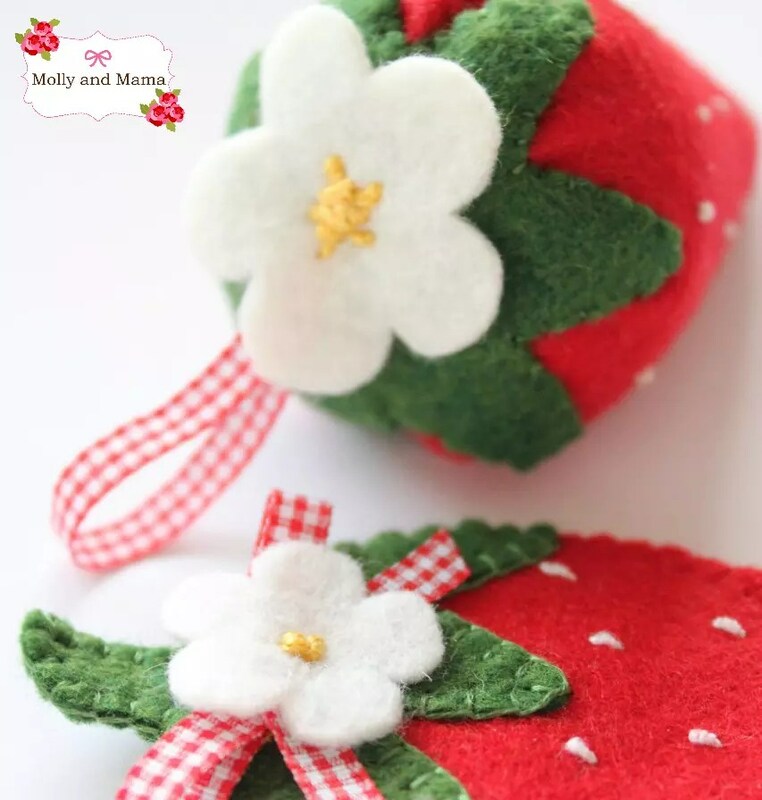 I’m hosting a little pin cushion swap via the Molly and Mama Facebook Page. It’s to celebrate the fourth anniversary of my little biz (which is a pretty special time for me!). My lovely contributors have created a range of gorgeous pin cushions that are just amazing. 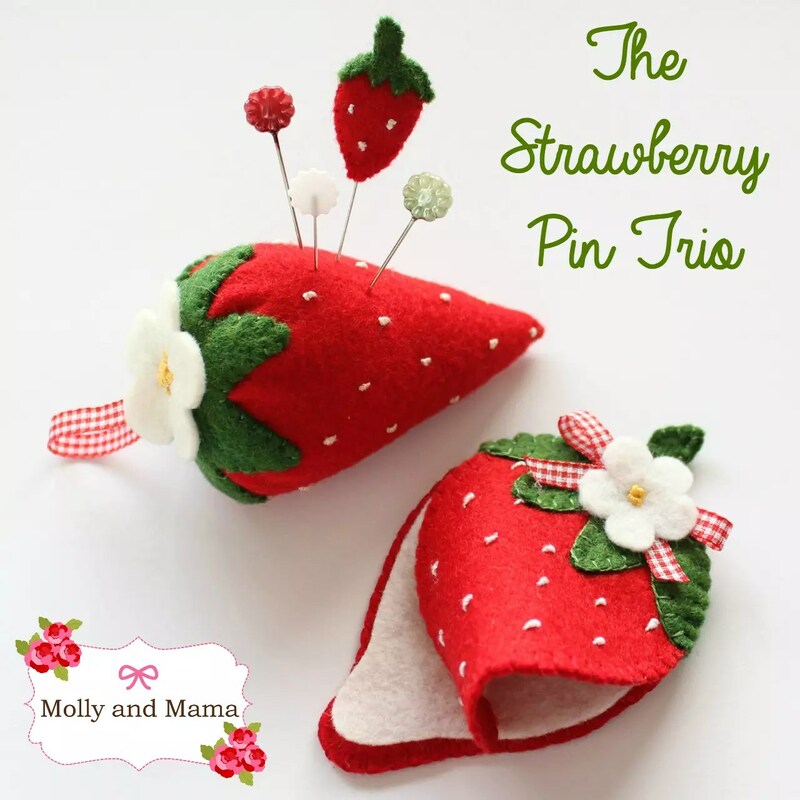 But before I show you what they’ve been up to, I thought I’d share my own contribution – A Strawberry Pin Cushion Set. I have a thing for strawberries at the moment. Our own strawberry patch is bursting with Winter berries. 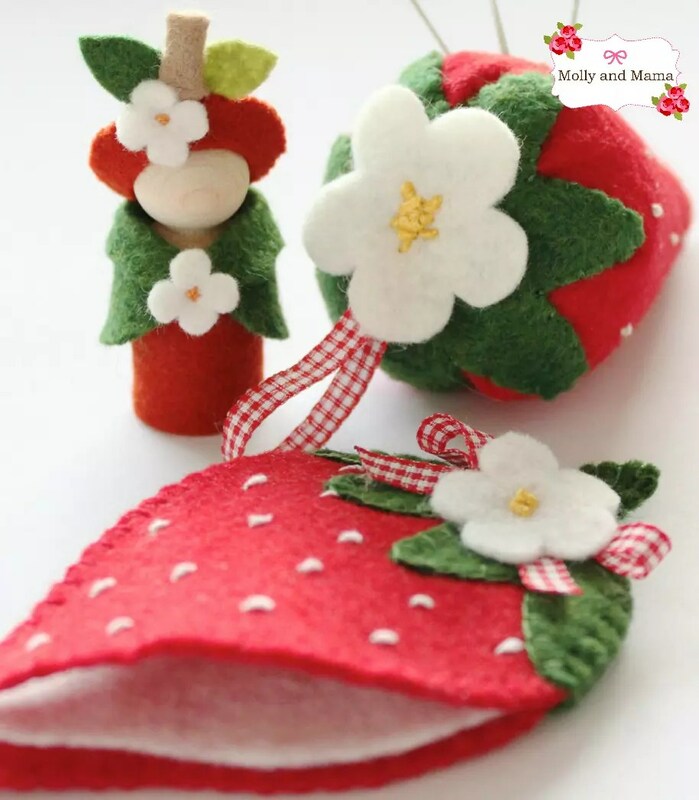 And they really inspired me to create a sweet Strawberry set using my favourite medium… yep, you guessed it… wool felt! I had a helping hand from a tutorial created by Sedef from Down Grapevine Lane. You can see her strawberry tutorial and pattern HERE. But instead of machine sewing a fabric strawberry, my set is entirely hand stitched in wool felt. I love the detail on the blossoms. And the gingham ribbon really works well. 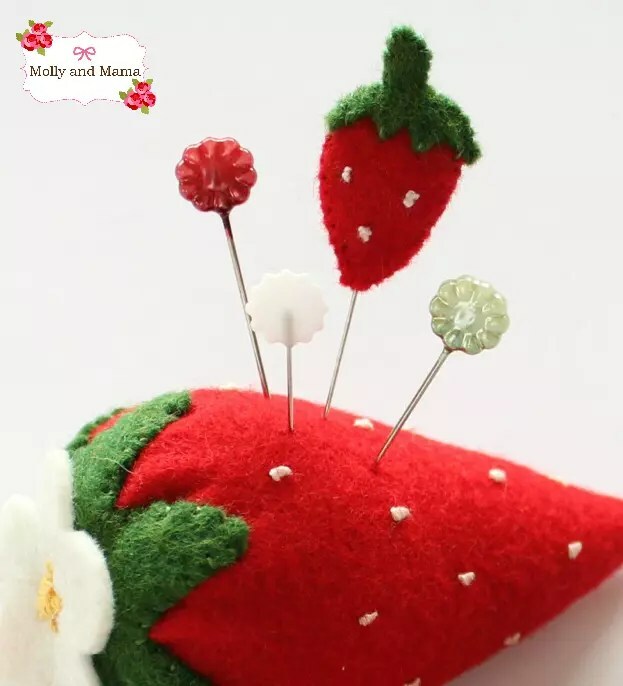 The needle book was made by sandwiching a simple piece of white felt between the front and back of the strawberry. And to finish off the set, I just had to create a miniature strawberry to top one of my sewing pins. It’s super tiny! I really love how it all turned out. And I hope the recipient loves it too. It even inspired some more fruity creations. This little peg doll is wearing a teeny apple cap. I’m visualising a whole range of these for a new pattern! What do you think? Pinterest has been a great source of inspiration to me, and I have boards for Strawberries, Apples and Pin Cushions too. Feel free to take a peek for more ideas. What are you sewing at the moment? I’d love to see!